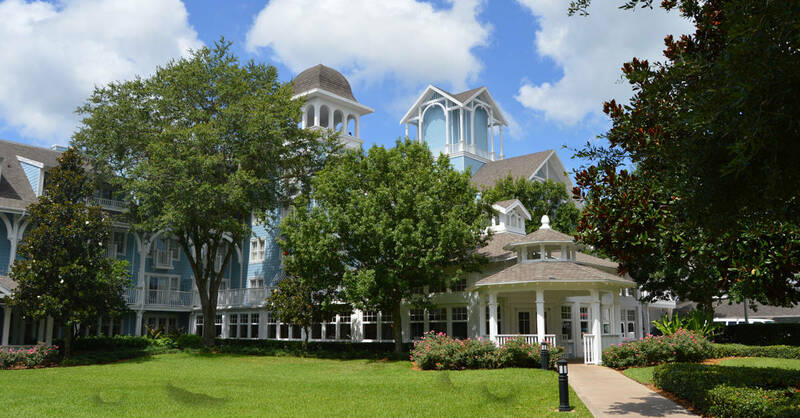 It would be hard for me to choose my absolute favorite Walt Disney World Resort, but I do know that Disney’s Beach Club Resort is a top contender. 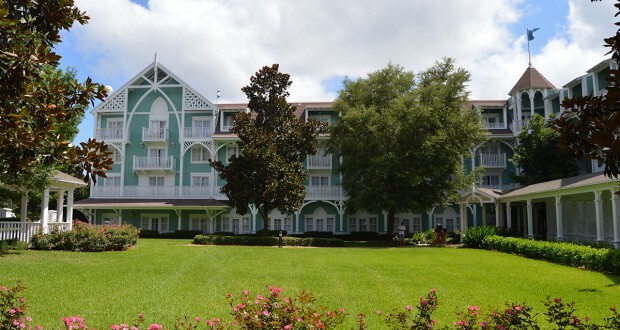 This expansive resort with its distinguishable blue clapboard facade, whitewashed wooden trim, long, covered porches and sprawling 5-story buildings (seamlessly joining Disney’s Yacht Club Resort) evokes an early 20th century charm, reminiscent of a time when families would come to exclusive Eastern Seaboard resorts not unlike those found in Cape Cod, The Hamptons, and Martha’s Vineyard to vacation and frolic by the seashore. I have always been in love with the casual seaside sophistication this resort exudes with its New England-style presence, have been captivated by the extraordinary dining and recreational opportunities and have been grateful for the wonderful location convenience. 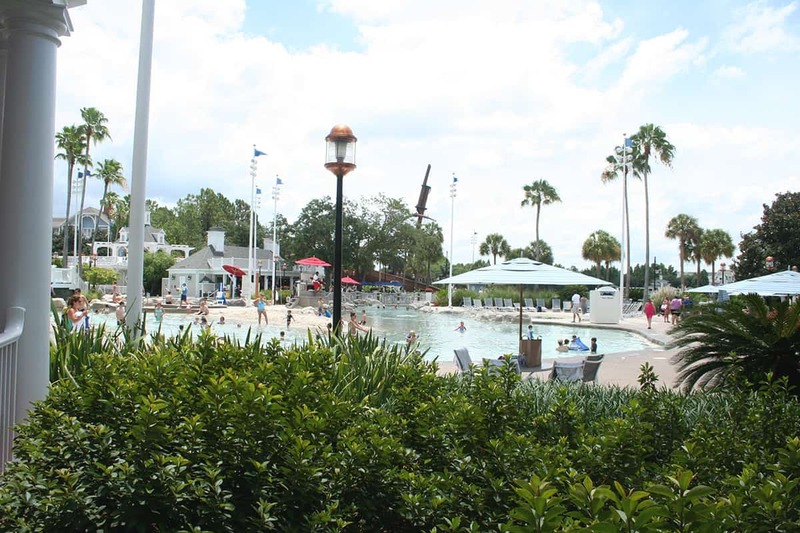 As a Disney Passholder for decades now, I have stayed at The Beach Club Resort as a child with my parents and continue to enjoy this resort and their amenities as an adult with a family of my own. Disney’s Beach Club Resort has always maintained an exceptional reputation and proudly bears the deluxe resort status, living up to the prestige in every sense of the word. 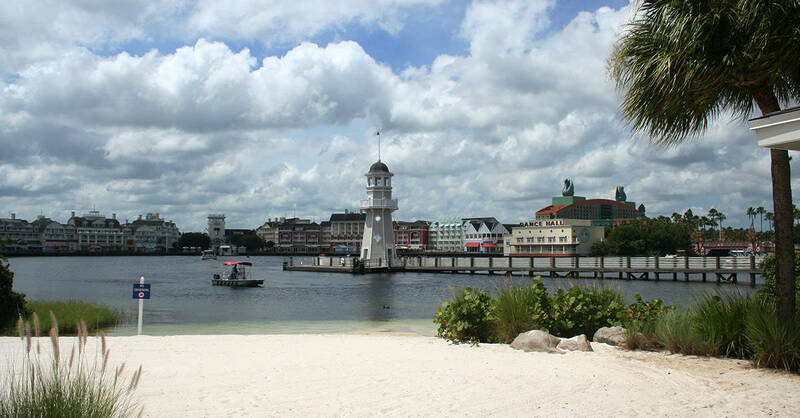 There is a quality and a distinction that Disney has established on these grounds, setting it apart from all other resorts with its consistent and festive nautical theme. 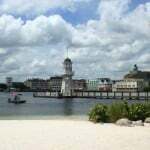 This resort has won me over time and time again, and I will share with you why this is a phenomenal choice when deciding your next Disney Resort location! Let’s dive right in, shall we? Upon entering, you are greeting by a dapper-looking “Captain” who welcomes you with a tip of his cap, a warm smile and a jubilant, “Welcome Home!” He, in true Disney-style, will provide you with assistance and direct you to the proper place should you need help. Once you move past this gallant and friendly gentleman, do yourself a favor and stop in the lobby—or sink into one of the cozy wicker chairs—close your eyes and take in a deep lungful of refreshingly scented air. 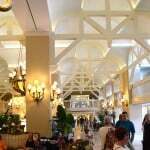 The lobby at Disney’s Beach Club Resort has one of the most recognizable and most loved smell experiences. The intoxicatingly pleasant scent is officially titled, “Green Clover and Aloe” and is diffused throughout the lobby grounds. As you are enjoying the lovely, calm-inducing air around you, make sure to tune your ears into the sounds, both distant and nearby. You might hear the laughter of children and adults or the low hum of conversations of families gathering. You’ll undoubtedly catch the horn of distant departing boats outside or the roll of luggage wheels on the sturdy, polished hardwood floors at your feet. 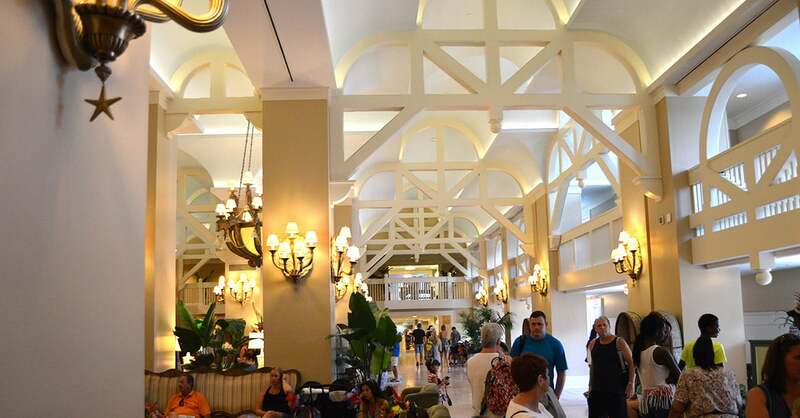 Perhaps you’ll hear the friendly greetings of the shipmate-attired cast members working to check-in the guests at the front desk or maybe even the low-volume’d classic Disney cartoons playing on the traditional television set nearby for guests needing a spot to sit and relax. If you can, listen for the subtle lobby music, streaming out incredibly moving classical chords. When you get the opportunity, really take in the scenes around you. Look around at the various shades of aqua and blue, the sand-colored creams and pastel pinks. The beach and boat inspired feel is brought out with sea-faring relics and coastal décor and proves that attention to detail is truly Disney’s strong suit. Let your eyes narrow in to the large windows leading beyond the lobby to the well-manicured gardens and the promenade that surrounds the waters of Crescent Lake. Everything about the atmosphere here at The Beach Club is meant to “reel” you into an experience that speaks to your senses, demanding a positively happy response. Have you ever had the pleasure of biting into a scrumptious Oreo Bon Bon, found exclusively at Disney’s Beach Club Resort? Have you indulged in a banana split or grabbed every member of your family to brave the ginormous Kitchen Sink at The Beach Club’s Beaches and Cream Soda Shop? Even if you never have the opportunity to stay here as a guest, make certain that you dine here at one of their fabulous dining establishments. Fill your bellies with an all-you-can-eat feast at Cape May Café for a character buffet breakfast or non-character-but-still-delicious buffet dinner. Be transported back in time at Beaches and Cream Soda Shop for a fun, 50’s style diner experience at lunch or dinner. 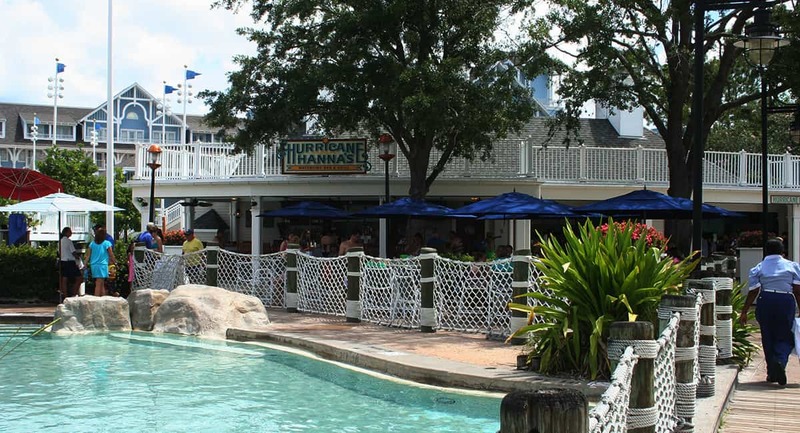 Grab a quick bite to eat any time of day at their quick-service Marketplace or while you play, swim and bask in the sun around Stormalong Bay at Hurricane Hanna’s Grill. The food experiences here are chocked full of delightful fun, offering something for every food critic in your family and engaging them in an immersive theme the entire time. Burgers and fries, salads and sandwiches, veggie wraps, chowder, crab legs and clams—you’ll find all of these and more at Disney’s Beach Club Resort! Truly, something for everyone! If you get the opportunity to visit Martha’s Vineyard Lounge, tucked away in a quiet “cove” of the resort, you will be able to peruse a full drink menu and order small plates of delicious food either at the bar top or from one of their cozy tables. This quiet and warm setting is a great place to “get away” and spend unhurried, quiet time with your loved one! Stormalong Bay is, hands down, the most magnificent resort pool throughout all of Disney. This sprawling 3-acre pool proves that you don’t even have to leave the resort and head to the theme parks for your family to have an incredibly memorable Disney World vacation. 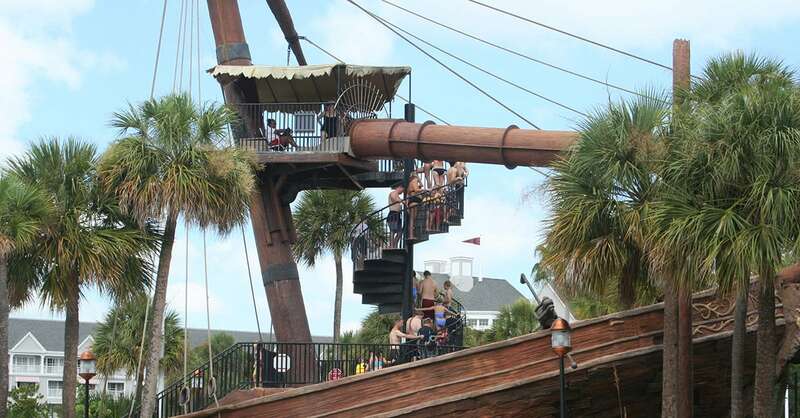 The shipwrecked pirate ship found on the real sand beaches of The Beach Club is the starting location of a heart-stopping 230-foot-long waterslide, one of the highest hotel slides at Walt Disney World Resort. Three separate pools, each with a freeform shape, make up Stormalong Bay, linked by pedestrian walkways and bridges which provide ease in getting around. Within these pools you’ll find “quicksand,” water jets propelling swimmers into a “whirlpool,” and even rock walls and small waterfalls. Don’t forget to let your worries float away as you drift along the lazy river in your inner tube. There are also removed “quiet pools” located a distance away for those looking for a more serene environment. 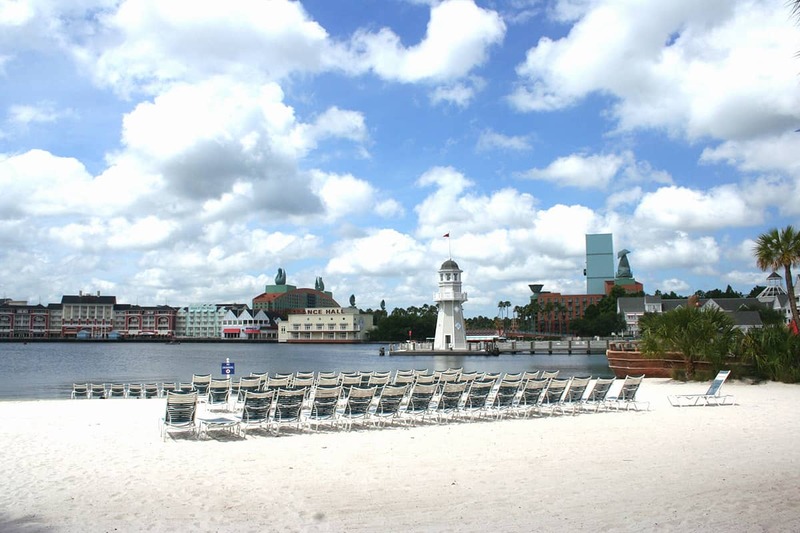 Check out the relaxing, bubbling spas and the elevated tanning decks, or simply stretch out at the sandy beaches bordering Crescent Lake with a spectacular view of Disney’s Boardwalk Resort. 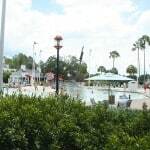 You’d be hard-pressed to beat this location, with walkways to two major Disney Parks—EPCOT and Hollywood Studios—as well as to Disney’s Boardwalk and The Swan and Dolphin Resort. If you’d prefer to skip the walk, boat transportation is available to ferry you to any of these locations. At night, and weather permitting, the beaches at this resort provide the perfect setting for their marshmallow roast and Movie-Under-the-Stars feature presentation. When deciding a room at Disney’s Beach Club Resort, you have the option of staying in a standard room, club-level room, or a one-or-two-bedroom suite. 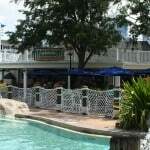 There are also studio rooms as well as one-or-two-bedroom villas located at the connecting Beach Club Villas. 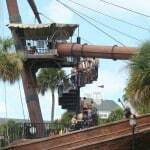 Check out The Walt Disney World official website for detailed information as well as pricing of each option. 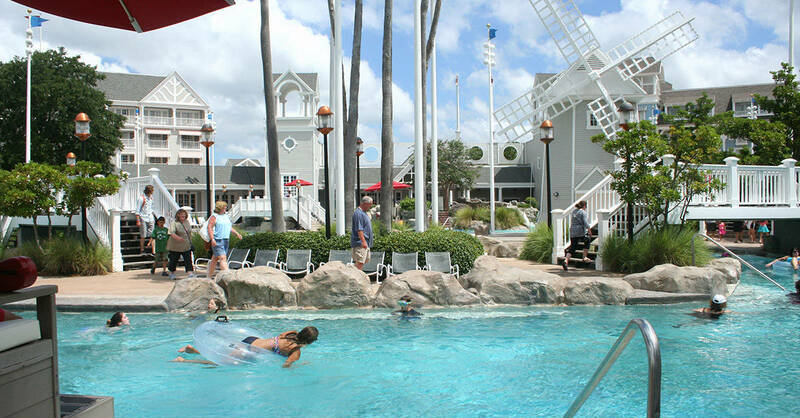 Have you ever stayed at Disney’s Beach Club Resort? Share your memorable experience with us in the comments!